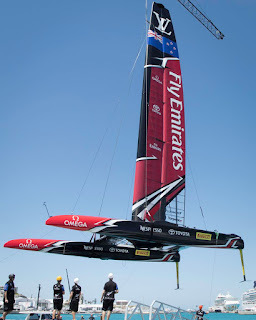 Photos: Ricardo Pinto / ACEA / Oracle Team USA / Emirates Team New Zealand - TNZ has a new sponsor, Pirelli. 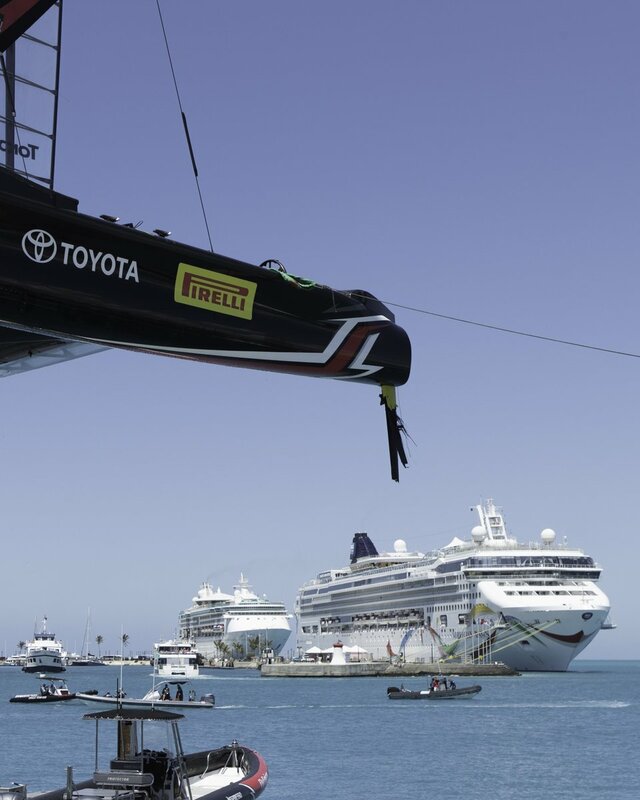 Lucky enough for the tire factory they are getting quite an exposure today on as their banner is placed on the rudders blades, but I don´t think the Kiwis are happy to train for a possible "pit stop" as they described. 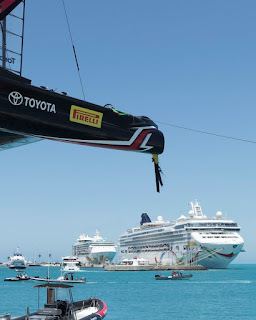 Richard Gladwell reports blades are old design, and the new ones are still in build process in Bermuda (?) Check Sail-World article here. Oracle possible cycling pedestal not visible, Slingby says new equipment was tested though. 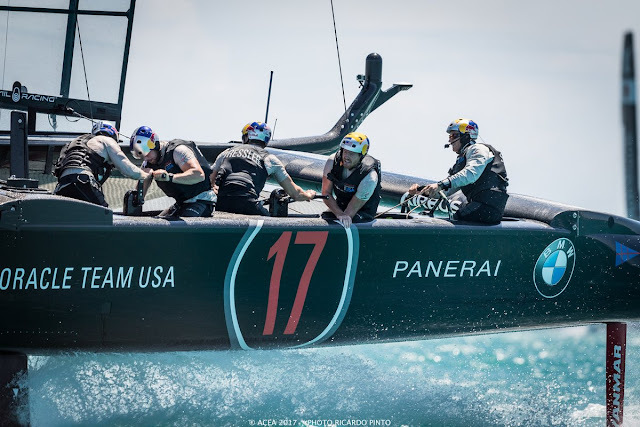 Draper calls for further changes on Team Japan. 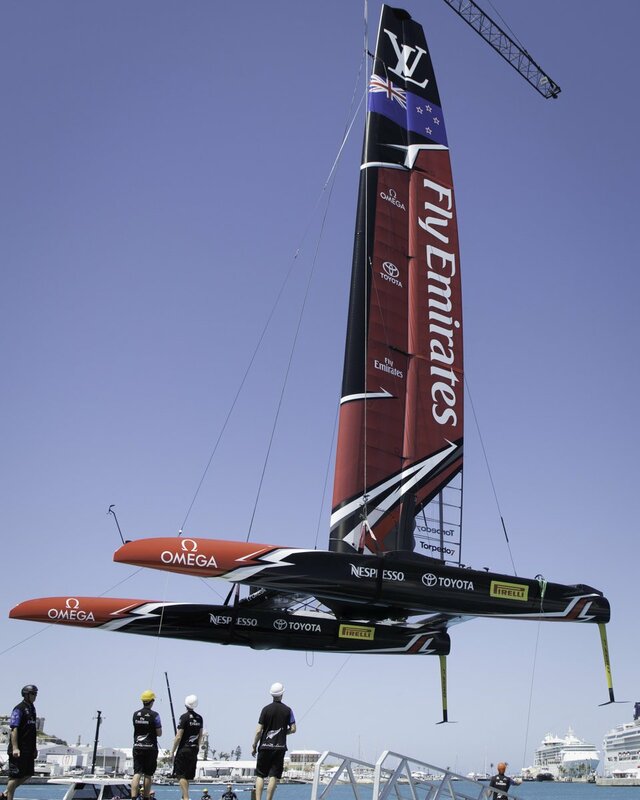 On the practice racing today Team Japan reports 2 wins (over BAR & Groupama) and 1 loss to Oracle. Oracle claimed 2 wins today. More updates soon, check also MyislandhomeBDA channel daily for video updates. 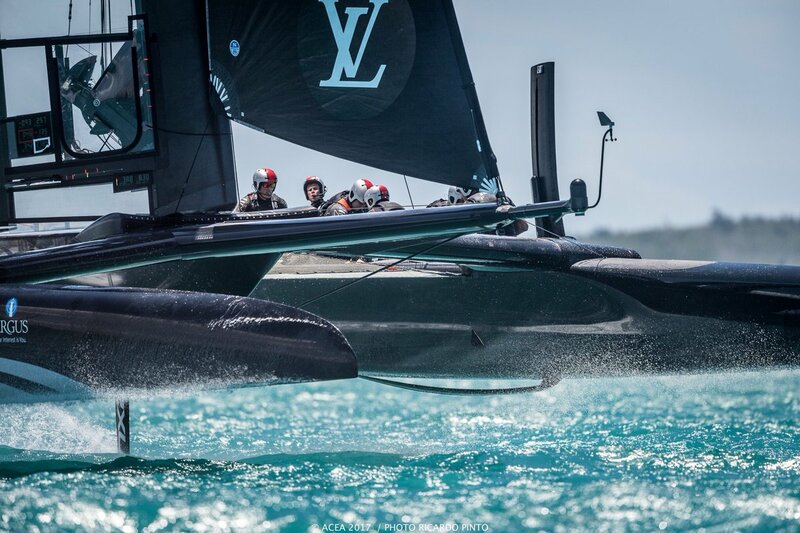 Hope for Ainslie to get some magic going soon enough for the LV. What a waste would be such talented sailor without any speed available. Below Artemis expectactions for the week, and Percy confirming they are doing pretty good in practice, still much to come :"means little towards the real thing"